Information about bus & rail near Cavendish Park, Sandhurst, Berkshire. 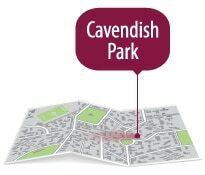 Cavendish Park offers a small town location with excellent connections to larger local towns. 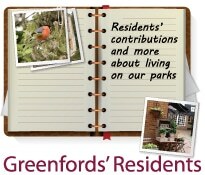 To find out more check out our pages on The Meadows shopping centre, Camberley and local rural facilities. Cavendish Park is 5 minutes’ drive from junction 4 of the M3, which gives straightforward access to London in one direction and the New Forest and Southampton in the other. The A30, less than a mile away, is a very useful major route, linking Sandhurst to Hartley Wintney and Ascot, locally. 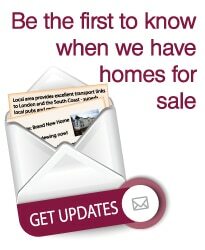 It provides an alternative route into Central London, heading East or a direct drive to Salisbury and the South West. Blackwater Station is a 3 or 4 minute drive from Cavendish Park and gives direct regular services to Basingstoke, Reading and Guildford. Camberley station, a few minutes further away, provides a direct service to Sunningdale, from which passengers can pick up services to Clapham and Waterloo. The 194 bus stops on Yorktown Road, very near to the Cavendish Park entrance, en route between Bracknell and Camberley.